Give the gift of choice. Besides redeeming a Digital Gift Card, look out for our e-gifting function launching later this year. 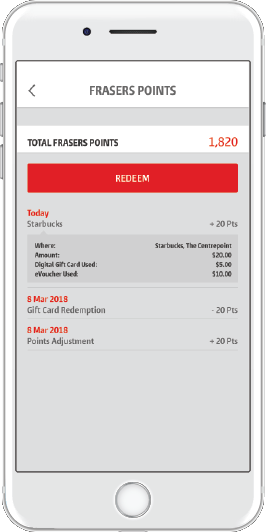 Use Frasers Points to redeem a Digital Gift Card. 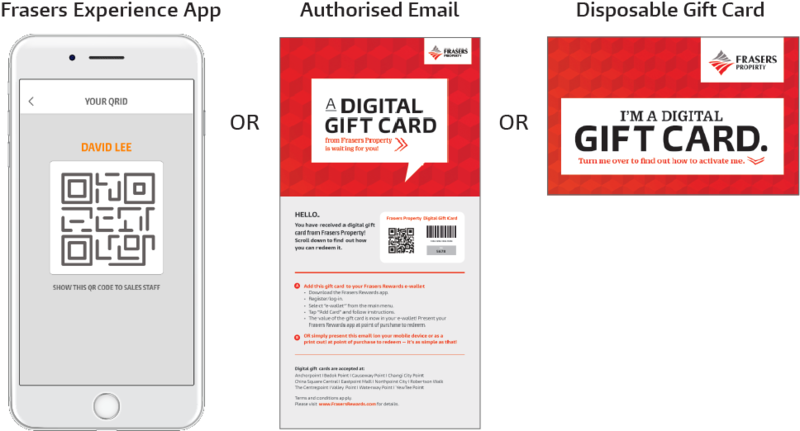 Start using your Digital Gift Card to offset full or partial payments in-store. 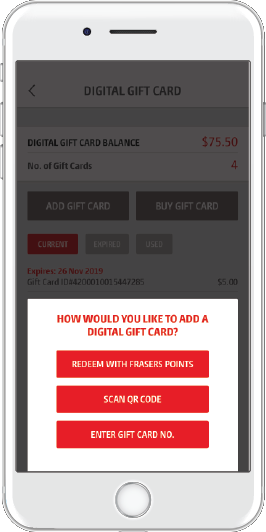 Simply buy a Digital Gift Card in the Frasers Experience (FRx) app or at our Customer Service counters. Show someone you’re thinking of them by sending them a Digital Gift Card. Look out for our e-gifting function, available later this year. No more worrying about misplacing your gift cards. 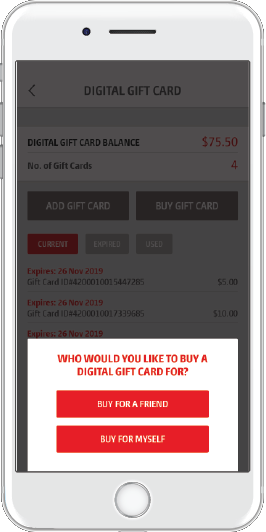 Your Digital Gift Cards can be stored snug and safe in the e-wallet of your FRx app. 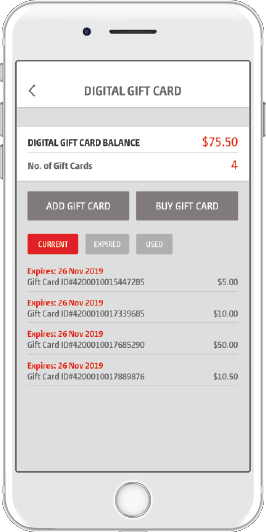 Whether you’ve received a Digital Gift Card from a friend or bought one at any of our Customer Service counters, simply add the card into your e-wallet and start using it any time. Using your Digital Gift Card is super easy - just present either of these at participating Frasers Property stores.